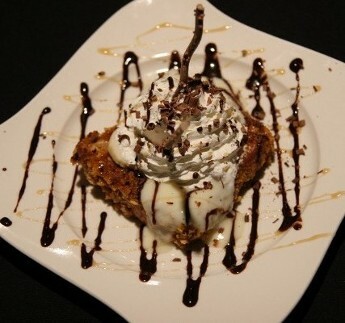 Vitor's Bistro & Sushi Bar is located in the heart of Bright, Indiana at 1932 Jamison Rd. 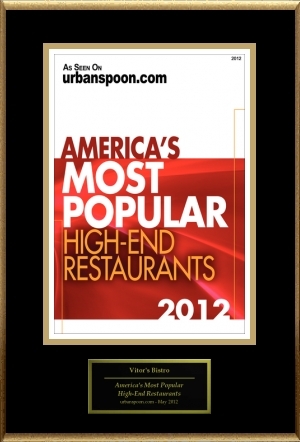 We are a family owned and operated upscale casual Bistro. We feature New American, Sushi, and International Infusion Style cuisines. Full bar with craft beer, boutique wine, and expansive bourbon selections. We offer daily specials, and our Special Features Menu rotates approximately every 4-5 weeks to allow our dish selections to be new and fresh for our guests. In the Fall of 2018 we launched The Chef's Table, where guests experience a 5 Course meal, prepared specifically for our guests by Chef Vitor. INTRODUCING THE CHEF'S TABLE BRUNCH as of February 2019!! Join Chef Vitor on Sunday mornings for The Chef's Table Brunch where you have the option of a Chef's Choice Course Brunch featuring a 2, 3, or 4 Course Brunch. Chef Vitor will create a course meal specified towards our guests' allergies and dietary restrictions. Now serving Sundays BY RESERVATION ONLY. Vitor's started out as a coffee shop, but we changed our name from the Coffee Cap Cafe™ in the Summer of 2006. 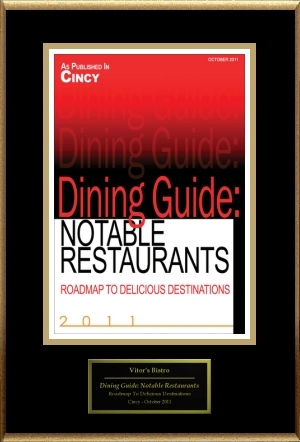 Our previous restaurant, Mokka™, was located in Newport, Kentucky, and our chef has worked at the world-renowned 5-star Nana Grill™ in Dallas, as well as Jeff Ruby's Steakhouse™ in Cincinnati. In 2005, we were voted best of the city for French toast in the December issue of Cincinnati Magazine, and rated best for breakfast in the City Beat Coffee Cap. You can also find an article featuring us in the Cincinnati Weekly's dining out guide for November of 2005, while we were still Coffee Cap Cafe. Coffee Cap was also voted best in brunch by AOL City. 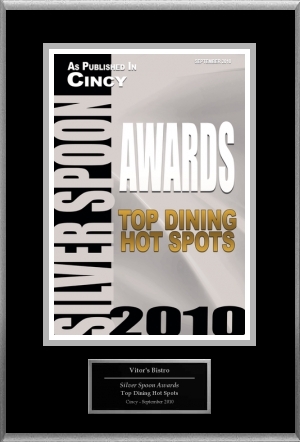 In May 2009, we won the "Best of Taste" for our Unforgettable French Toast and the "Award of Excellence" for our Walnut/Coconut Encrusted Shrimp with a Peach/Mango Spiced Reduction in the Taste of Cincinnati food competition. In September 2015, our food truck, Urban Vistro, was launched with great success. Our locations can be found on our Facebook page, www.facebook.com/urbanvistro, as well as www.streetfoodfinder.com. Wednesday, Thursday, 5:00 p.m. - 10:00 p.m.
Sunday 5:00 p.m. - 9:00 p.m.